The no-fluff, no-BS approach to work wherever, whenever you want. Or maybe you’ve already started working from home...but you’re feeling kinda stuck? ...you’re in the right place! I know that getting your own virtual career started is exciting and overwhelming, all at the same time. Should I set my own hours? What rates do I charge? What do I do about health insurance? And those just scratch the surface! And you’re wondering what business should I even start? If that’s where you’re at, that’s okay too! Starting the work-at-home process has to start with the drive and the desire first. Ditching the Water Cooler comes in! Googling every single bit of information you don’t know. Figuring out who is telling you the truth and who isn’t. Wading through article after article telling you hints and tricks...but never getting to the answers you’re looking for. Planning out every step of the way, guessing if you’re doing the right thing first. And I’ve compiled it all in a no-fluff format. Ain’t nobody got time for that fluffy stuff anyway! Dive into the work-at-home material you need to know and get actionable steps on how to make it work for you. And then get your business started. your work-from-home goals a reality. There's no fluffy, unnecessary material you have to wade through. You'll be directed right on over to the course platform purchase page to complete your order and create your login! And I’m the course creator behind Ditching the Water Cooler. I’ve been an entrepreneur since the age of twelve, when I started teaching piano out of my parents’ living room. After a failed attempt at college, I dove into virtual work-at-home careers, and instantly fell in love with being able to work whenever I wanted to. I took a delusional, brief break to try corporate life out (because I “needed” health insurance and everyone worked in a cubicle at least once, right?). But I came back to the work-at-home life...and haven’t left it since. Throughout the past decade of working virtually, I’ve spent hours upon hours of Googling, researching, learning, experimenting, and trying things the hard way to figure out how to successfully make a work-at-home career, well...work! I knew I could take the years of trial and error, buckets of frustrated tears, and throwing my laptop out the window (figuratively...of course!) to help other people’s dreams of working at home become a reality. And that is why I created Ditching the Water Cooler for you. I answer the questions I wish I had known when I got started working at home a decade ago, and the questions I get asked all the time from others wanting to get their lives started. What I don’t do is the work for you -- I don’t get your clients for you or do your marketing for you. I also don't teach you the specific skills you need to work from home (such as transcription, writing, customer service, etc.). What I do share with you is reputable places online to learn those skills and apply them to your work-from-home business. Essentially, I give you the no-fluff, all-in-one-place blueprint to starting your work-at-home life. Inside the course, you will learn a lot. Each of the 15 modules and 59 units are packed with essential information you need to know to build your work-from-home career. you need to make it all happen. + Business Builder Workbook -- for just $97! I'm going to be completely upfront with you, because I want you to be 200% confident when you dive into this course that you made the right decision and are ready to work to succeed. ...you need to go find another course to take. This one won't be a good fit for you. Working at home isn’t for people just wanting to do the minimal amount of work. It isn’t for those looking to make six figures in just a couple months. It isn’t for the excuse makers. And it sure as heck isn’t for the people wanting someone else to do all their work for them. Starting your own business takes a lot of work. It takes determination and diligence. Passion and patience. A willingness to learn, to make mistakes, and to pick yourself up when the going gets tough. Because it’s not easy. Nor is it always fun. But let me tell you. If you are willing to do the work to make it work...it’s so worth it. Whew, okay. I'm glad we were able to be upfront with each other and make sure this is the right course for you. Business Builders is your personal, 87-page workbook to help you take the course and turn it into actionable, achievable steps. No guessing what to do next or wondering if you're applying the course correctly! Business Builders Workbook is specifically designed that by the time you have worked through the course and this workbook, you will have your business built! ...to help turn your work-from-home goals into reality. That sounds like a pretty incredible deal to ditch your 9-to-5 and start your new career. Will I get access to the course right away? Yes! As soon as you purchase, you will be sent an email with your login details. From there, you can access the course whenever you like. As the course is completely self-paced, all the modules are immediately available. What materials do I need to go through the course? Throughout the course I do link to many additional work-at-home resources you can use or purchase to help in your virtual business growth. I do not. Due to the course being completely digital, in order to protect the content I've spent a lot of time developing for you, I do not process refunds after a purchase. 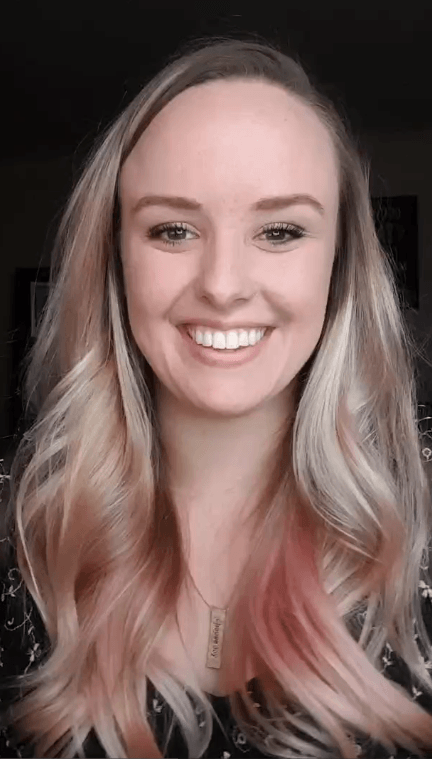 Because I want you to feel confident before and after you purchase, I give you all the information you need about the course upfront so you know exactly what you're getting (and getting yourself into :D) before hitting the buy button. While I don't personally handpick jobs for students and get them interviews with clients, I have made sure to pack this course with proven, actionable steps on how to market yourself to clients and look for work-at-home jobs. Essentially, it's all the information you need to go out and find jobs and get clients. Now it's up to you to put it into action for yourself! How long do I have to go through the course? As long as you like! This course is available to you for as long as you or I are around : ) That also means any updates added to the course...are yours for FREE! How long will it take me to go through the course? The course, with the workbook included, should take about a month to go through. It all depends how much quality time you are able to spend on it. The course can take longer if you still need to hone or develop your skills before starting your own business. Does taking your course guarantee I will get a job when I'm done? Taking this course does not guarantee you will have a job when you get done. What I can promise you through this course is I will provide you with resources, show you where and how you can build your skills, step you through marketing, and help you navigate the crazy unknown of diving into the work-at-home world. But it is up to you to put in the work and apply what I've given you throughout the course. I have more questions -- can I email you? Yes! You can email me at support@elizabethjwiegner.com. Ready to get your work-from-home dream started ...today?